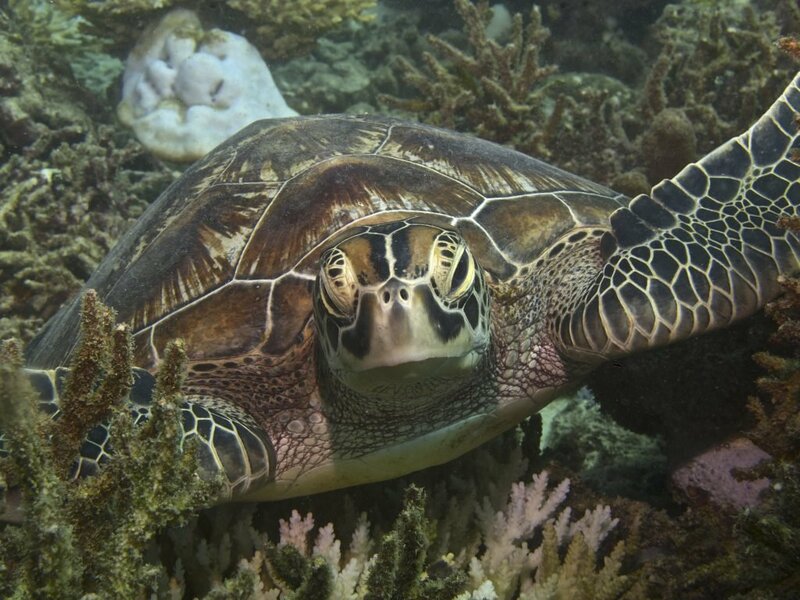 Boost your professional diving or marine conservation career when you join an internship in the stunning Seychelles. Get your PADI Divemaster qualification and marine ecosystem training, then put those skills to good use when you participate in vital marine research expeditions. Sign up here today and get 12 months of Lion membership with Conservation Careers included. Travel to the beautiful Seychelles islands in the Indian Ocean where you will train to improve your scuba diving skills while participating on our Marine Conservation Expedition, conducting vital marine research. On successful completion of the first half of your internship, you will be placed at a local dive centre undertaking your PADI Divemaster course that will continue throughout the duration of 12 week work placement. During this time you can expand your knowledge of marine conservation and help with general day-to-day operations of the centre. 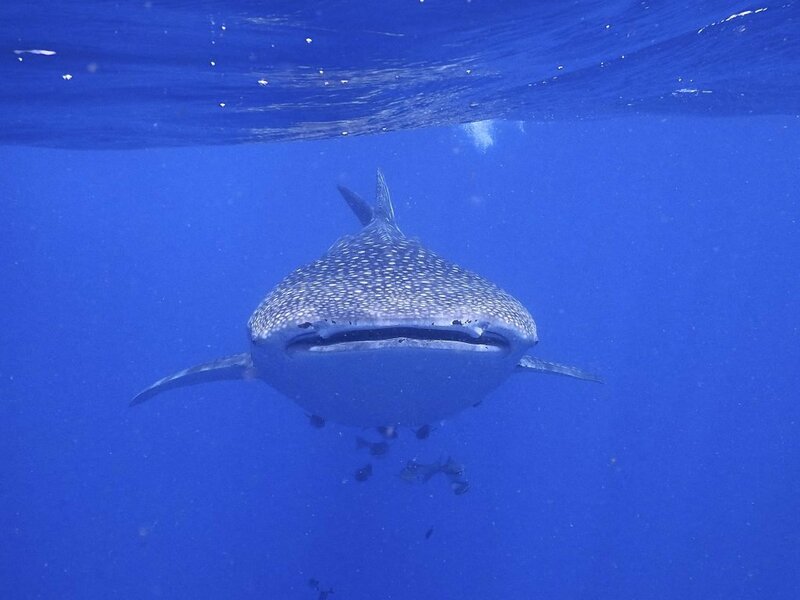 This internship is the perfect opportunity to enter the world of professional diving and / or marine conservation while living and working in a pristine environment to complete what will be a life changing experience. After a successful internship, qualifying candidates may be given the opportunity to work for us or selected partner organisations in the Seychelles, or in other countries around the world where we operate. Field work positions can be paid or unpaid, range in duration from one month to one year, and availability varies. All internships are geared at developing your leadership and role model skills, allowing you to develop a variety of key soft and hard skills that will put you a step ahead the rest of the pack. We have been running community development, education, and conservation projects since 1997 and our highly experienced field staff will help you gain and improve vital skill sets to improve your future job prospects. 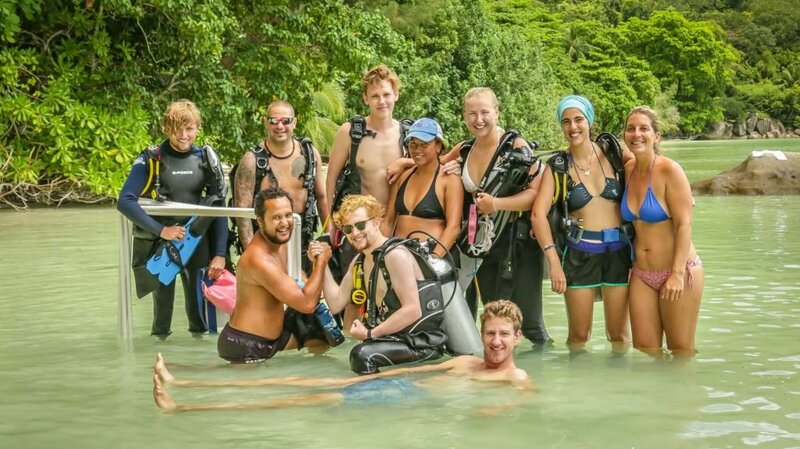 You will spend the majority of your time on this internship scuba diving and as such you need to be qualified to at least PADI Open Water, or equivalent before you start the internship. We will supply you with all the training you need to be certified up to PADI Divemaster as well as with additional diving courses. During your expedition phase expect working days to long and starting early in the morning. Diving days will begin with preparing the dive boat, followed by a short journey to one of the research dive sites. Depending on weather conditions, we aim for everyone to have 1 or 2 dives/snorkels a day, 5 days a week, during which you will conduct underwater surveys after completion of your training. On other days, you should expect to be involved in additional projects and activities, including training sessions, beach cleans, marine debris surveys, environmental education sessions with the local community depending on local and project needs at the time. The days are rounded off with an evening debrief, followed by dinner and time to relax, take in the beautiful sunset and share stories. 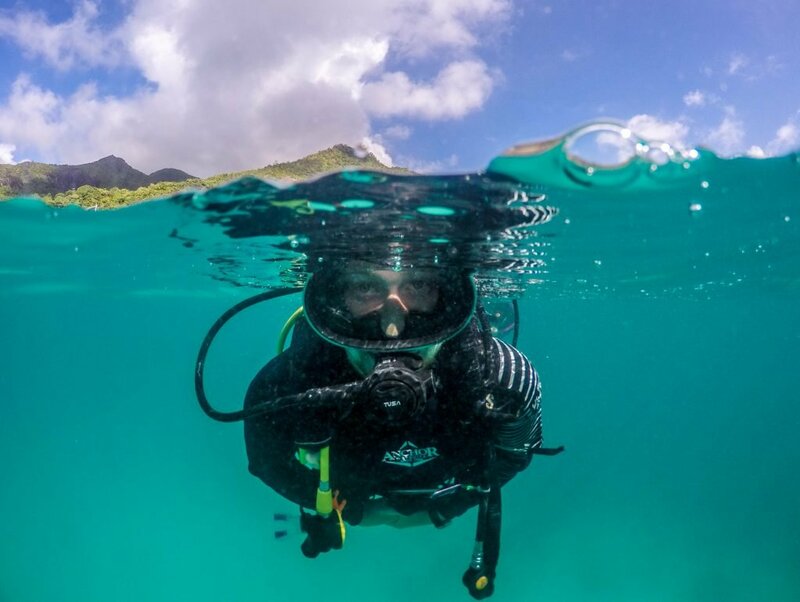 On your work placement, your situation will vary depending on location, but you will continue to spend the majority of your days diving in the crystal clear waters perfecting your diving skills, while learning to work within the diving community. During your expedition phase you will be living on our research base in the stunning Seychelles. Living conditions will be very basic as we aim to leave as small of a footprint as possible on the environment. Accommodation at the work placements vary, but all offer basic to comfortable accommodation for their staff. You should note that projects conducted at any time are subject to change based on the season and the needs of our local partners. The work includes a wide range of functions, with the focus on obtaining your dive master qualification and gaining experience working in a dive centre. This work placement is a great first step in a professional diving career. 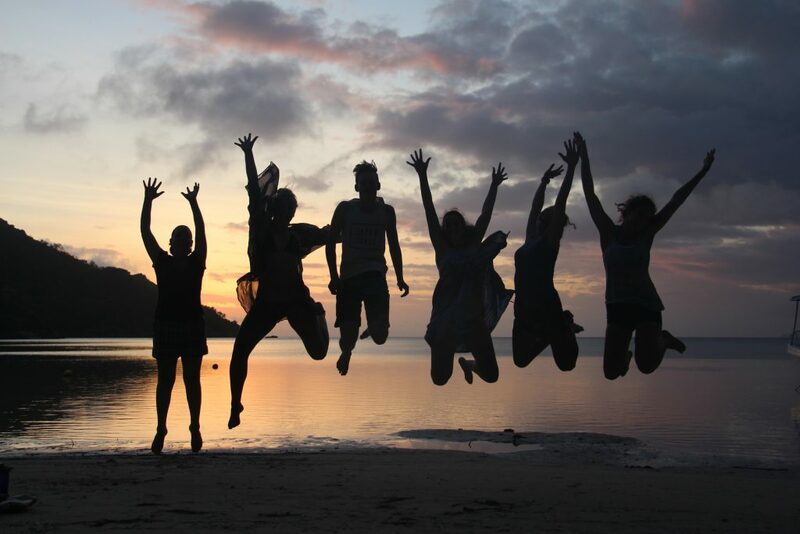 Volunteering with us not only allows you to participate in programmes assisting disadvantaged communities or endangered ecosystems, but it also offers wonderful opportunities to travel in the local area in your down time or further afield either before or after your programme. Below is some information on trips and travel options in the Seychelles. Most people would agree that sitting at The Coral Strand Hotel bar with a cool drink and watching the sun set behind Silhouette Island is an experience not to be missed. 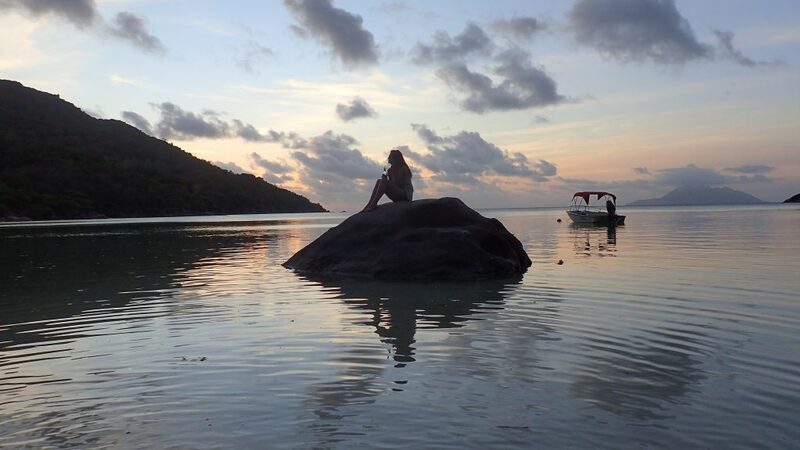 Volunteers may have the opportunity to visit the islands of Praslin and La Digue. 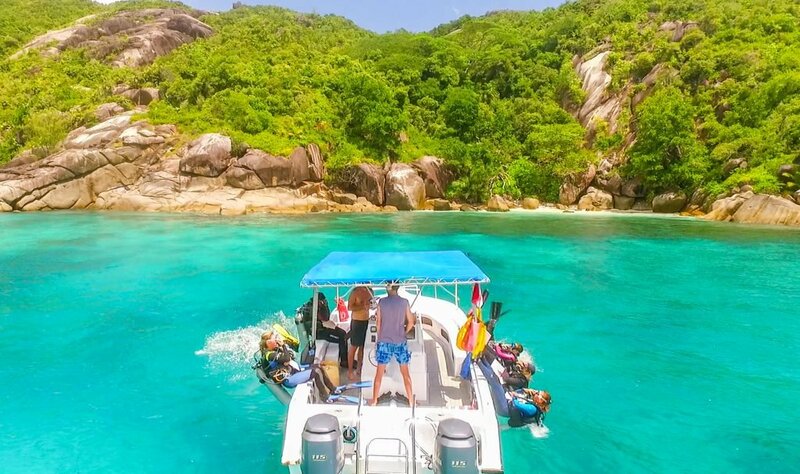 Praslin is home to the Vallee de Mai (a world heritage site) thought by early explorers to be the original “Garden of Eden”, that is the home of the famous Coco de Mer palm tree that produces the huge double nut famous for its provocative shape. La Digue is the picture perfect tropical island, small and intimate with quaint guest houses and arguably the most beautiful beach in the world – Anse Source d’Argent.